Besford House, Belle Vue, Shrewsbury, was built originally as a private residence in 1893. In 1911 it was set up a boys' home, as a way of getting children out of the workhouses. Following the introduction of the Public Assistance Act in 1948 the running of the institution was taken over by the Shrewsbury Children's Homes Committee. The Local Government reorganisation in the late 1960s made Social Services responsible for the administration of the home. In 2011, it was put up for sale as “a nine-bedroom detached house with a guide price of £950,000”. However this Victorian mansion is now under threat of demolition as a local housing group has made proposals to demolish it to make way for new homes. Shropshire Housing Group has tabled proposals to build 16 new homes on the site of Besford House in Trinity Street, Belle Vue. Almost 70 members of the public have objected to the plans which would see Besford House swept away. 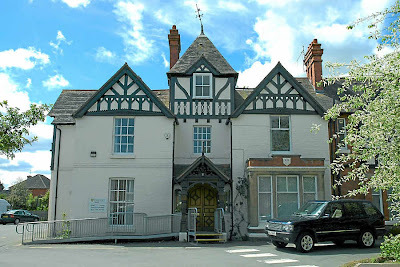 We are talking here about a handsome Victorian mansion which stands within a conservation area, and which, having been for decades an important children’s home, has much to say about the history of the area. Controversial plans to demolish a historic former children’s care home in Shropshire to make way for housing have been thrown out by councillors. Besford House was altered and added to in 1893 but originates from earlier in the century. It was not demolished. It was divided into two houses with nine others being built in the grounds. The whole development looks very appealing. Hi sue. Myself and my brothers lived there on and off during the early 80's. matt, dan and liz smith.